3 years, 9 months and 10 days. That’s the time between Jochen Krumbach’s second and third VLN win. 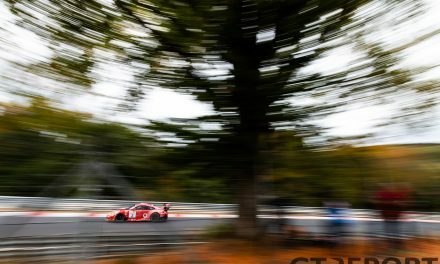 Last weekend, the popular driver finally reset the clock as he took a much-celebrated victory with the Wochenspiegel Team Monschau Ferrari 488 GT3, the team’s first in the history of the Nürburgring endurance championship. If there ever was a perfect moment for Wochenspiegel Team Monschau to strike, it would’ve been at VLN’s third race of 2017. In the previous four races this year at the Nordschleife, the Ferrari team showed great potential but was stopped in its tracks by accidents. With only one full pro team showing up at the start for the 59. 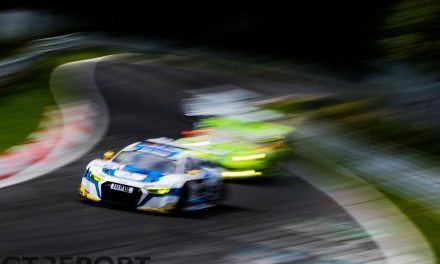 ADAC ACAS H&R-Cup, the way for the Rinaldi Racing-run Wochenspiegel Team Monschau was clear to storm to its first victory. 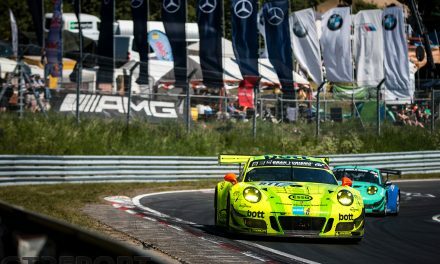 Leaving the Manthey Porsches in its trails after the first hour had ticked away, Jochen Krumbach, Oliver Kainz and team owner Georg Weiss drove the Ferrari to its maiden win. For Krumbach, it’s a return to the podium he hadn’t visited in years. 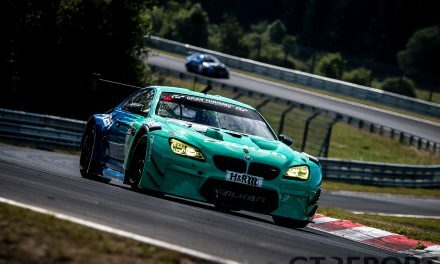 What brought the win, Krumbach says, was the strategic decision to minimize gentleman driver Georg Weiss’s time in the car, going all in with professional racers Krumbacher and Kainz in a move supported by Weiss himself. “We were in discussion some minutes before the start of the race as we weren’t sure what the best approach would be. Finally, we decided to let Georg as the final driver on the car and to only let him drive his mandatory minimum laps, because he’s a little bit slower. For us, [that he’s slower] is no problem, but to win the race you must save every second. 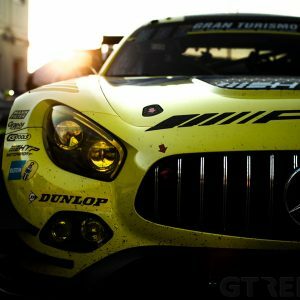 “Because we drive in the Pro-Am class, the rules state that every driver has a maximum amount of time that he can drive. This strength is translated, after all those years chasing that illustrious first win, into victory, with which WTM surpassed the goal they set themselves at the start of the season. “When we switched to the Ferrari, our target was to get a podium this year, that we really wanted to achieve. And after that we’d try and get the overall win. 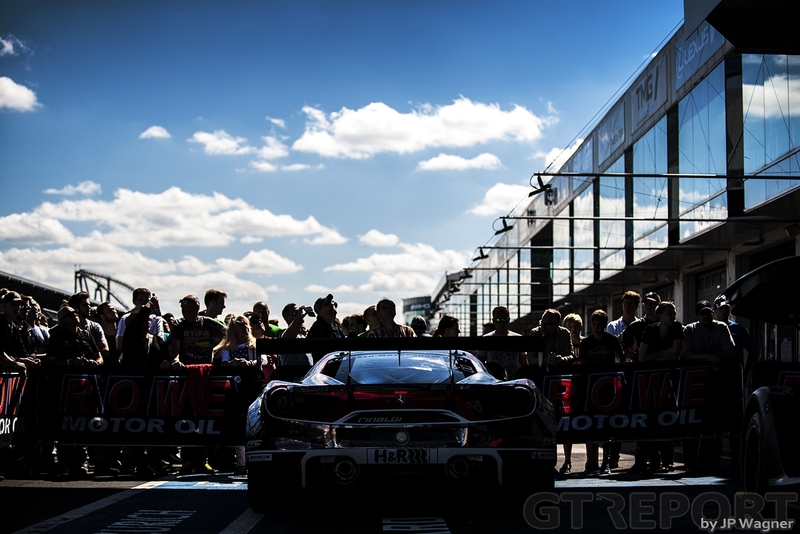 Going back one year, there were grumblings from Porsche customer teams about the brand-new Porsche 991 GT3R. While Frikadelli Racing took the BMW M6 GT3 for a spin, WTM teamed up with Rinaldi Racing to give the Ferrari 488 GT3 a try. Not long after, Weiss elected to make the change permanent for 2017. 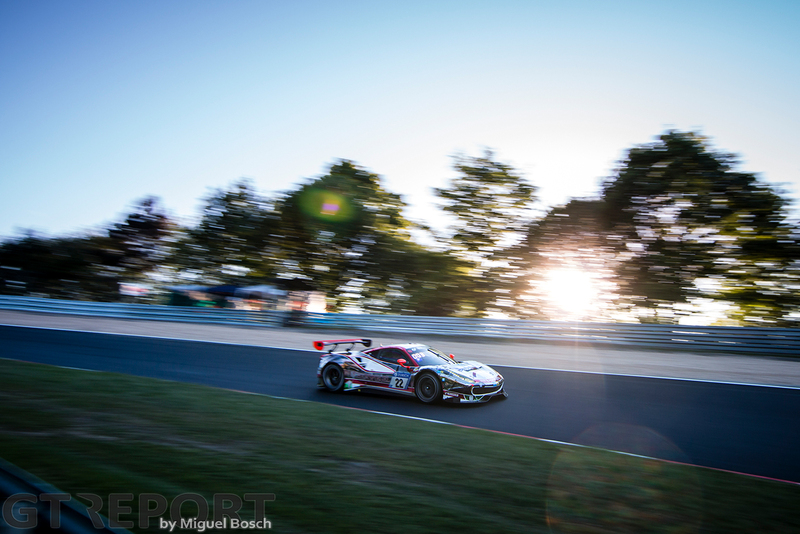 Krumbach was left with a tough choice: stay with the Wochenspiegel team, or stay with Manthey Racing, two teams that were then and still are now close to his heart. “It was Georg Weiss’ decision [to race with Ferrari]. He leads the WTM team and asked me if I wanted to come with him. 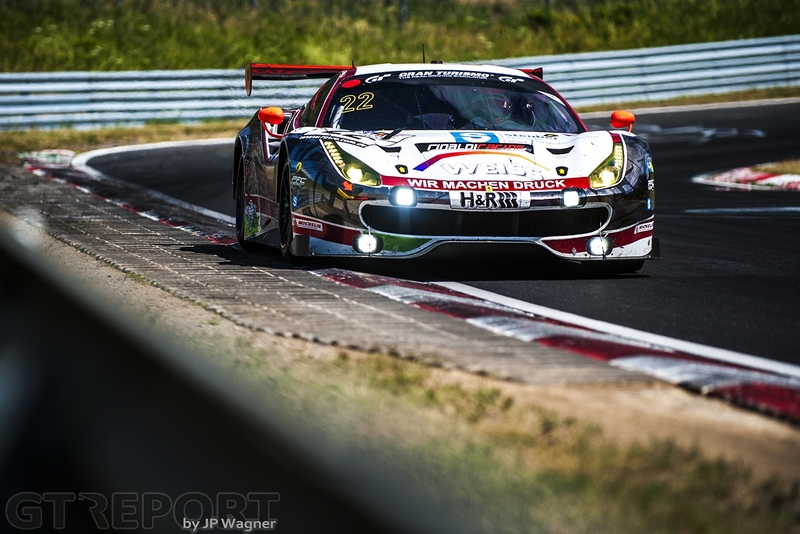 It was not due to Manthey or Rinaldi, or anyone else, but a decision to go with Ferrari. 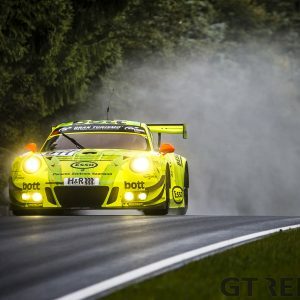 Unfortunately, Manthey cannot race with Ferrari as it’s a Porsche-owned team. “If I’m honest, I must say that it wasn’t an easy decision. My heart was always with Manthey Racing, my heart was always with Porsche. However, at the time when I had to decide, there was no good alternative for me, so I decided to go with Georg. As I raced the last three years with WTM, that was also part of the decision. Now with a winner’s trophy under their belt and showing that the team means business, is Ferrari going to come out in full force and support the Rinaldi Racing crew as it takes on the Nordschleife? Not quite, but, Krumbach assures, the Italians are paying close attention. 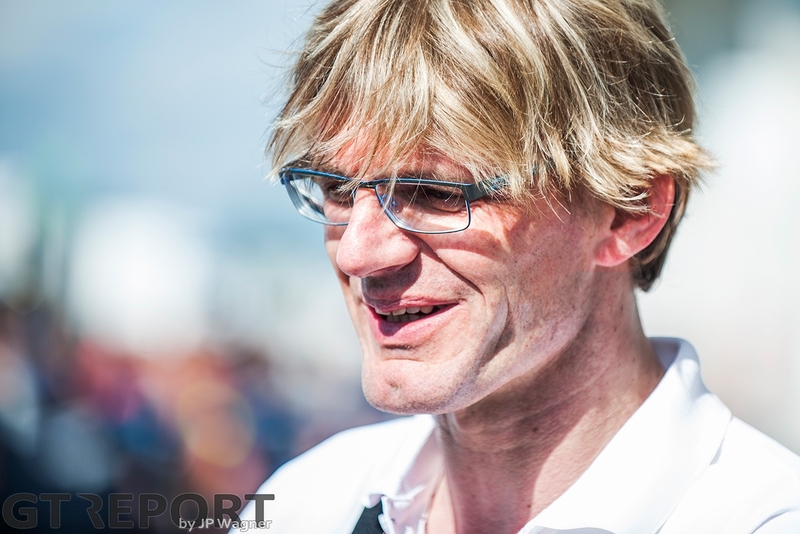 “It’s not necessary right now for Ferrari to come and help us out here as there is only one GT3 Ferrari. But I can tell you that we are in very good contact with Maranello and [official Ferrari tuner] Giuliano Michelotto, who was here at the 24 Hour race. Believe me when I say that they’re giving us all the support that they can give us. “Michelotto said that he feels like it’s a big family here, and they’re becoming a part of the family as well. “We’re staying in contact with them. I don’t know how often we’ve been on the phone today and yesterday. 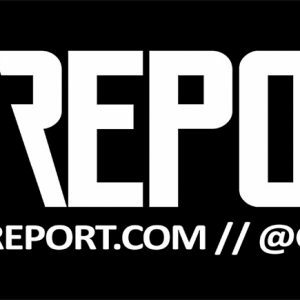 They always receive our data, give us advice, so we’re in good contact with them. “We don’t need the Ferrari truck to show up here, we need support from the people at Ferrari and that we definitely have. Up until now, there always was an engineer here, but unfortunately this time no engineer was available because they had too many activities. We said, for this time that’s OK. For VLN1 and 2 and the 24 Hours and the Qualifying Race, there always was at least one engineer from Maranello here. Georg Weiss only completed three race laps en route to the chequered flag, but that doesn’t mean that the German’s contribution to the victory was minimum. As the driving force behind Wochenspiegel Team Monschau, it’s rather the contrary, a fact that Krumbach recognizes and appreciates as much as anyone. “I am the happiest for Georg. 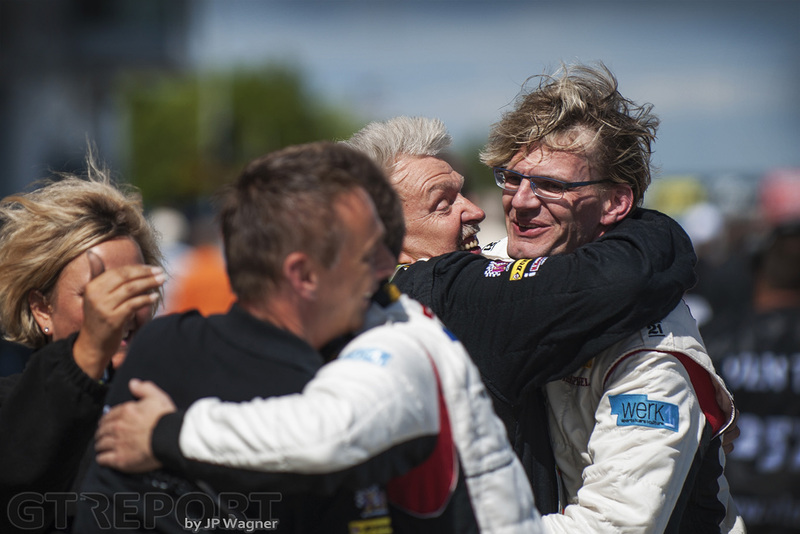 For him, it’s his first VLN win. I already have a couple, but for him it’s his first and it wasn’t easy. It was a hard and expensive way to get here, also in terms of energy, but he never, ever lost his direction and always thought about what he wanted to do and had complete confidence that we could do it. He never gave up. That makes me so happy for him. 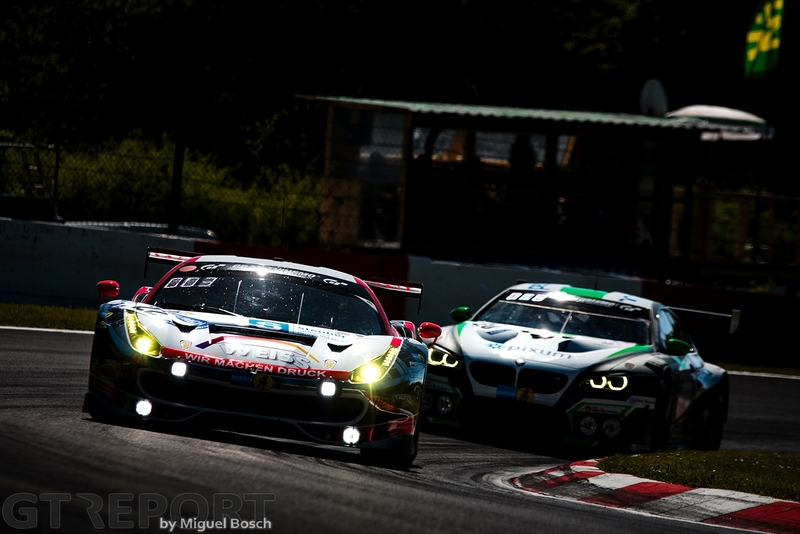 “Also for Rinaldi Racing it was their first win, and the first win for Ferrari with a GT3. It really was a historical day,” Krumbach concludes, hours after the race still with that big smile on his face.